Words fail me. Lee Rigby was a soldier yes. But he was also a loving husband and the father of a little boy. 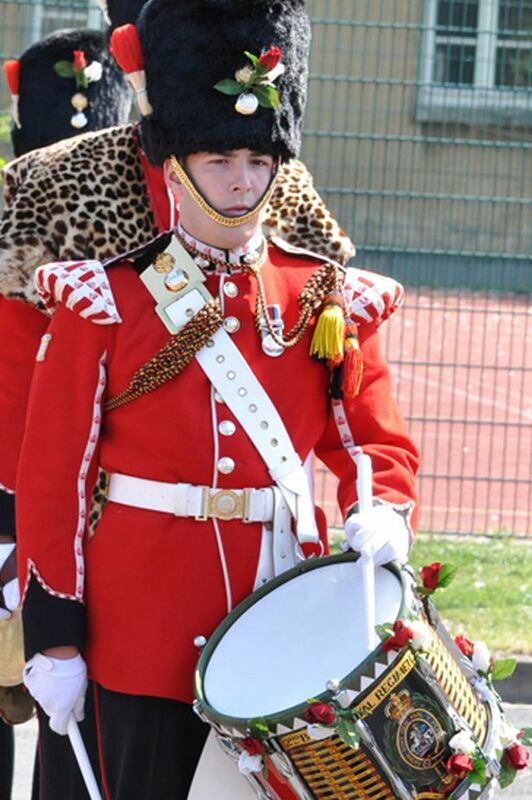 He was a musician, a proud drummer in his regiment the Royal Fusiliers. There is no possible excuse for his cold-blooded murder in broad daylight in London. The nation mourns for him and the whole world too. The Drummer Boy has now gone over the hills and far away. But we will never forget him or his family. His spirit will live forever. For those that murdered him, you have just reminded us that we will not tolerate terrorism in any form. You are now condemned to a life in hell on earth and then millenniums in the real hell – no virgins there, and no-one will cry for you. Please visit an article published on ITV News here. “Islam does not allow or sanctify the killing of any innocent person regardless of his or her religion. According to the Qur’an and Hadith (sayings of Prophet Muhammad) life is sacrosanct. We read in the Qur’an: “Do not take life, which Allah has made sacred, except through justice and the law. He orders this so that you may acquire wisdom”. According to the Qur’an, killing a person unjustly is the same as killing all of humanity, and saving a person is the same as saving all humanity.